Any item that is exposed to the environment, moisture, or extreme changes in temperature can benefit from a protective metal finish. Greenwich Metal Finishing uses only the highest-quality metal finishes, coatings, and lacquers to protect against pitting. 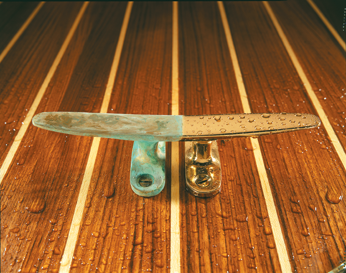 Our protective metal finishes feature exceptional corrosion resistance and durability, and are both UV- and moisture-resistant. Just as important is how we apply protective finishes. Greenwich Metal Finishing’s on-premise custom-designed spray booth uses a negative pressure system and specialized lighting, ventilation, and climate control to ensure a contaminant-free environment and the highest-quality finish. As with all Greenwich Metal Finishing services, we will gladly consult with you about the right protective finish for your items. Pickup and delivery services are available within Fairfield, Westchester, and Putnam counties, New York City, Northern New Jersey, and Long Island.